In Fall of 2015, Studio Choo Co-owner Jill Rizzo returned to her native island home (Newport, RI) after 12 years in San Francisco. She opened a New England branch of the studio focused on creating uniquely wild floral designs for weekly clients, weddings, events, and workshops. Available by appointment only; contact us if you are interested in a delivery for a special occasion, event flowers, or setting up a private class/workshop/lecture. During the growing season, Jill seeks out the best available local material by working closely with a small network of flower farmers. 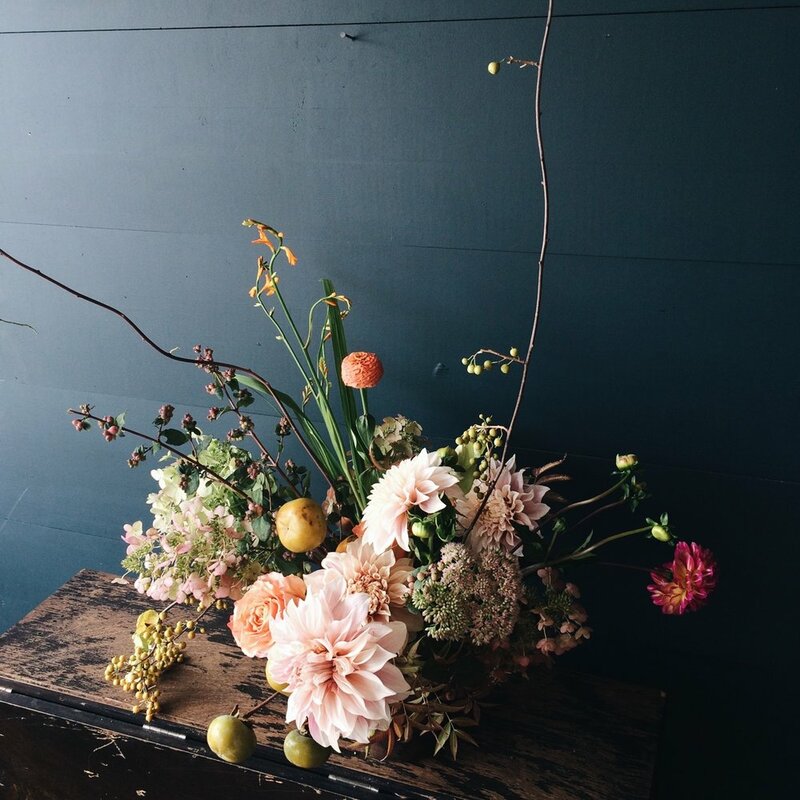 Specializing in floral combinations with distinct color palettes, unusual foliage and textures, and show-stopping blooms, Studio Choo's signature "fresh from the garden" style has quickly found a home amongst Newport's more traditional arrangements. Jill also loves partnering with other creatives for interesting projects and photo-shoots. If you have an idea for a floral collaboration, please don't hesitate to get in touch! Perfect for those seeking seasonal, ever-changing designs for home and office...whether on land or at sea. Both design and maintenance services are available. Now booking events for 2018! Please use our AVAILABILITY INQUIRY form for more information. Interested in learning more about our floral philosophy and honing your floral skills? Request a private class or visit our CLASS SCHEDULE page for a list of upcoming group workshops. Follow @studiochooeast on Instagram for current happenings.